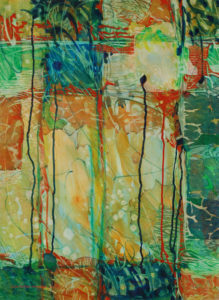 Recent Watermedia Works in Abstraction by Rogue Valley Artist, Lynda Hoffman-Snodgrass. 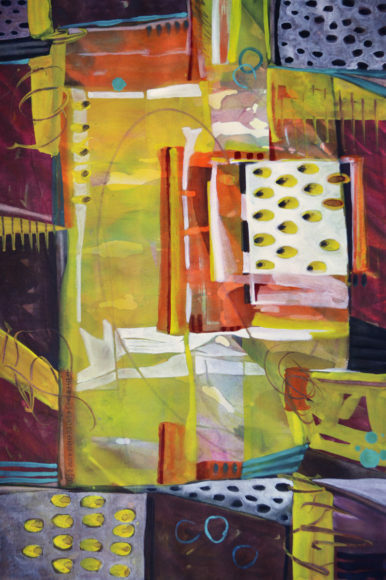 “Often when I am painting I feel like I am in an altered state or a waking dream. The process in creating this body of abstract paintings starts out very intuitive, developing over time. I then finish each piece by applying elements and principles of design to strengthen the composition and pull it together.